If you own a car, you know that they can be as expensive as they are essential. in fact, the average car owner spends about $8,469 each year on their vehicle. 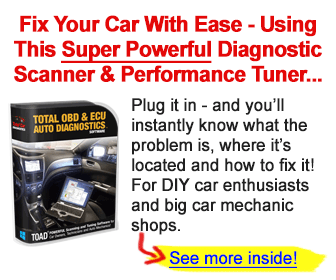 Autodub quotes the average light car repair at $387, which can certainly add up over time. What if you could save yourself some of those costs by doing basic maintenance yourself? Read on to find five easy DIY car maintenance projects that anyone can do to keep their car on the road and out of the shop! Giving your car a DIY oil change is a great way to save money and take the health of your vehicle into your own hands. While not always a simple task, keeping your oil changed on schedule will ensure a smooth running and longer lasting engine. You should change your oil every 3 months or 3,000 miles, whatever comes first. From underneath your car, you’ll drain the oil by removing the drain plug and unscrewing the oil filter to empty it as well. Once you replace the plug and filter, you’ll pour the appropriate type and amount of fresh oil into the oil reservoir in your engine bay. It may seem intimidating at first, but after doing it a few times you’ll wonder why you ever paid anyone to do it for you! Being able to change a tire can be a lifesaving skill to have. With a few basic tools and a spare tire, you’ll never be stranded on the side of the road from a flat ever again. Keep a wrench and jack stand in your vehicle to be prepared for the worst! To change a tire, you’ll loosen the lug nuts with the wheel still on the ground to keep it stable. Then, using a jack stand, you’ll crank the car far enough off of the ground to lift the tire in the air. Finish removing the lug nuts and pull the tire off of the vehicle. Replace it with the spare, tightening the lug nuts back into place. Lower the car back to the ground and give the lugs another tightening, and you’ve just given yourself emergency roadside assistance with no AAA required. Spark plugs are the breath of life in your car. The tiny units are what create the spark that ignites the gasoline and allows your engine to convert that fuel into motion. Their usefulness wears out every 100,00 miles, give or take, so you need to know how to replace them once your car gets a little older. Familiarize yourself with where your spark plugs are located in your vehicle. Should one wear out, you’ll have to disconnect it from the spark plug wiring. Then, simply remove the plug and replace it with the new one. Always check to make sure you have the correct spark plugs on hand for your vehicle. It seems like car batteries tend to die at the worst possible times. In reality, a car’s battery is typically viable for an average of four years. If your battery is showing signs that it needs replacing, it is quite easy to change yourself. To take your battery out, you’ll first remove any covers over the battery or its terminals. Remove the negative cable first, placing it far away from the battery itself. Follow the same procedure for the positive clamp. Remove any screws from the battery and lift it away. Place the new battery in the same orientation as the old one. Reconnect any screws and clamps, and then start your engine to make sure the battery is delivering power to the vehicle. Easy! Air filters are essential to the life of your engine. Though often overlooked, a dirty filter can cause poor fuel economy and contaminants in your engine system, Luckily they are easy to change and clean, or cheap to replace. Under the hood, locate the housing for your air filter. Simply remove the air filter cover, and slide the filter out of place. Clean the air filter housing and even the filter, if desired. Make sure you set the filter aside to dry completely if you’re cleaning it. If replacing with a new filter, simply put it in the freshly cleaned housing and reattach the filter cover. You should change your air filter once yearly or once every 30,000 miles to keep optimal airflow and filtration. Learning a few simple repair and maintenance techniques for your car can keep you on the road with money in your pocket. Knowing your car’s needs will reduce the wear and tear of your vehicle, and help you learn your car inside and out. Even simple tasks can run you big bucks after the parts of cost and labor, but learning to do them yourself can give you a sense of pride in car ownership and valuable life skills for any vehicle you may drive in the future. If you’re interested in more useful DIY car maintenance tips, check out our blog at Auto-Facts.org!